As expected, Microsoft has announced the Zune HD – the next iteration in the Zune lineup. The “HD”, of course, stands for “High Definition”, which is in reference to this player’s capability of playing both hi-def radio as well as outputting to hi-def TV (via a dock). Perhaps more notable, are the facts that this player features a 3.3” OLED touchscreen, Internet browser, on-screen keyboard, and ultimately competes head-to-head with the iPod Touch. The big issue, of course, is inherent “value” of the Zune over other brands. I’m a Zune user, I like the hardware, I think the software is great, and I’m absolutely sold on the Zune Pass subscription service. Where Zune has really struggled these past few years, if you ask me, is with their value proposition as compared with the competition – namely Apple. Being “as good as” the competition will rarely get you market share. You have to be better, and it needs to be noticeable. It may just be the little things that begin to win people over. If Microsoft it getting anything right in the PMP marketplace, it’s in their focus on software instead of hardware. They are a software company, after all, and that’s their specialty. The Zune Marketplace software is really great, and their ability to roll-out great new features in the Zune hardware updates has been wonderful as well. It also looks like the Zune experience will soon be bundled with Windows Mobile phones, which is an interesting, if not critical, move for Microsoft. Also, it does look like the Zune software platform will be coming to Xbox Live, which is great. I’m interested to see how that rolls out. I would love to see the Zune platform really excel with this latest iteration – if anything, just to keep the competition fierce. Windows has needed the MacOS nipping at their heels for years, and I believe that the iPod world needs a competitive force pushing them as well. 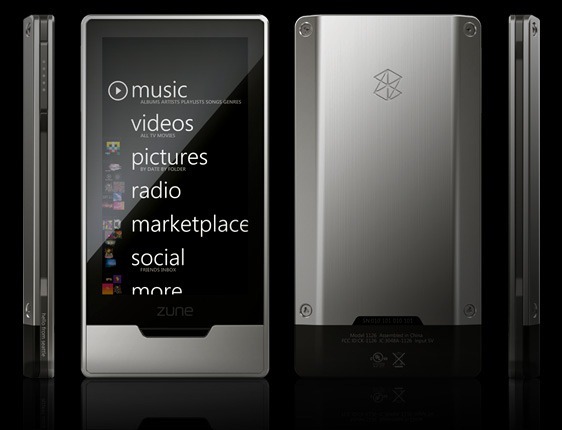 I’m looking forward to the Sept. 5th, 2009, launch of the Zune HD!